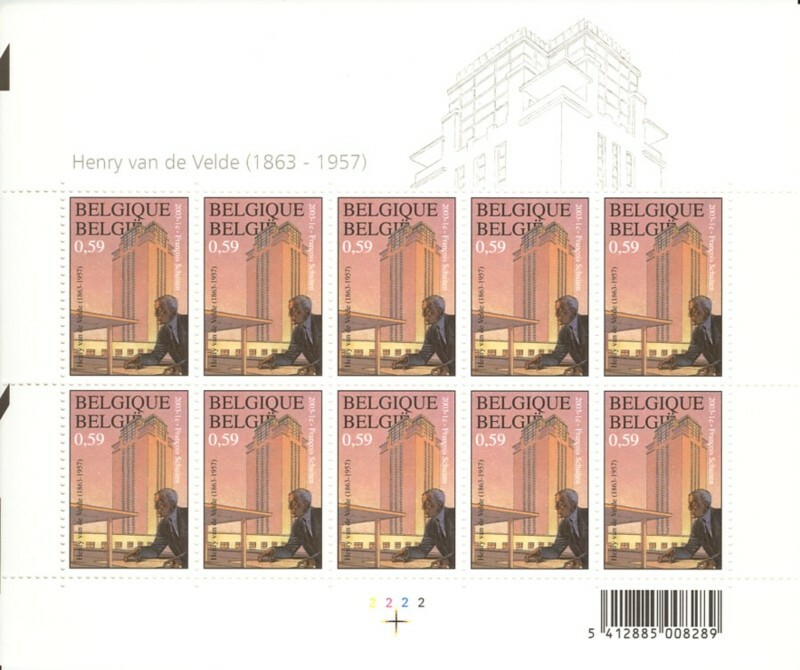 “Henry van de Velde” is a stamp created by François Schuiten. 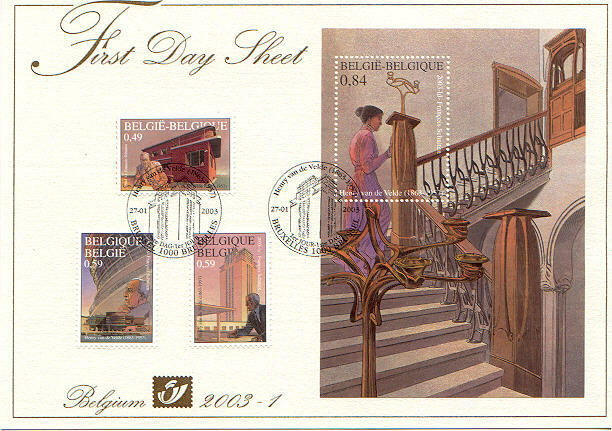 Issued on 27th of January 2003. 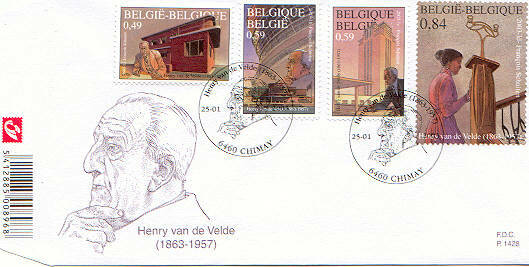 Henry van de Velde is an important Belgium architect. 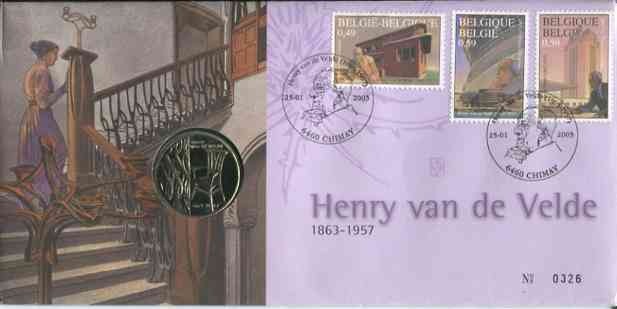 The stamp shows the Art nouveau period of Henry van de Velde. 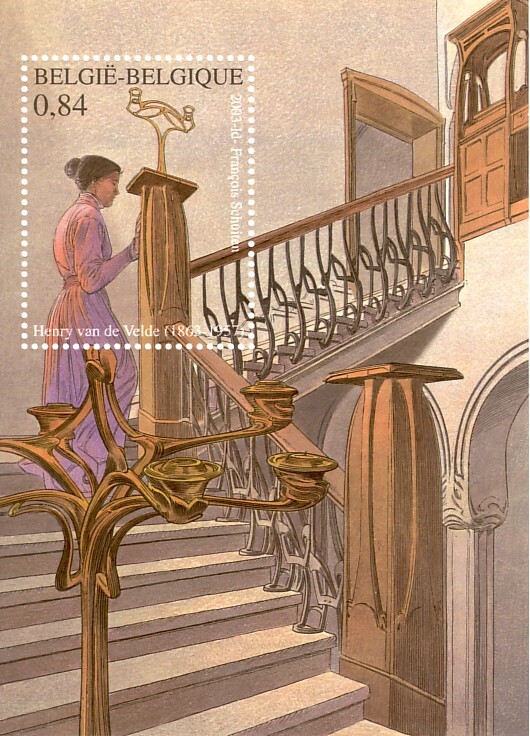 It shows the staircase and cupboard from 1902 and the chandelier of 1898/1899. 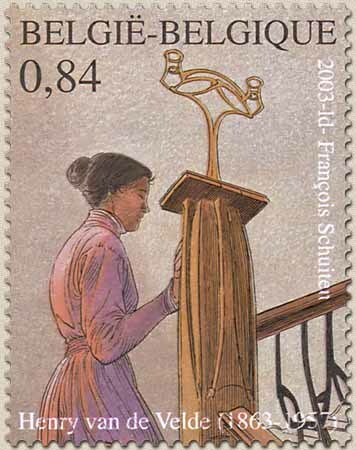 The woman on the stamp is Marie Sèthe, the wife of Henry van de Velde, who played an important role in his life. The other part of the series display Henri van de Velde in front of one of his most well-known buildings. 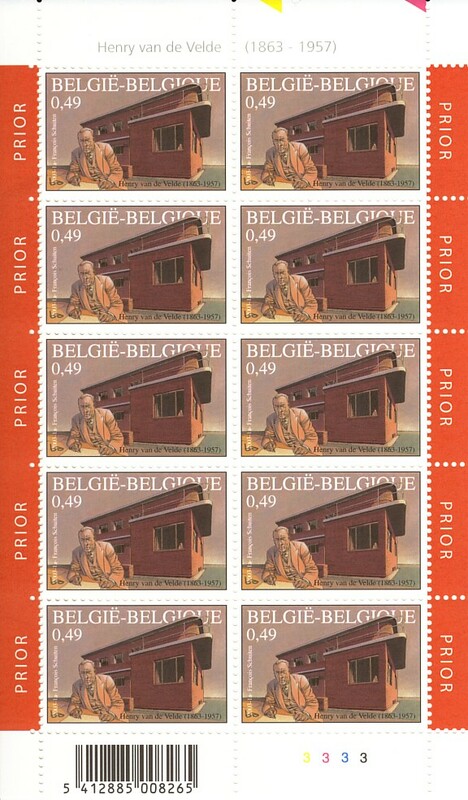 The first stamp shows the “La Nouvelle Maison” (The New house) in Tervuren (1927-1928). The second one the Belgium pavilion of the world expo in Paris (1937). 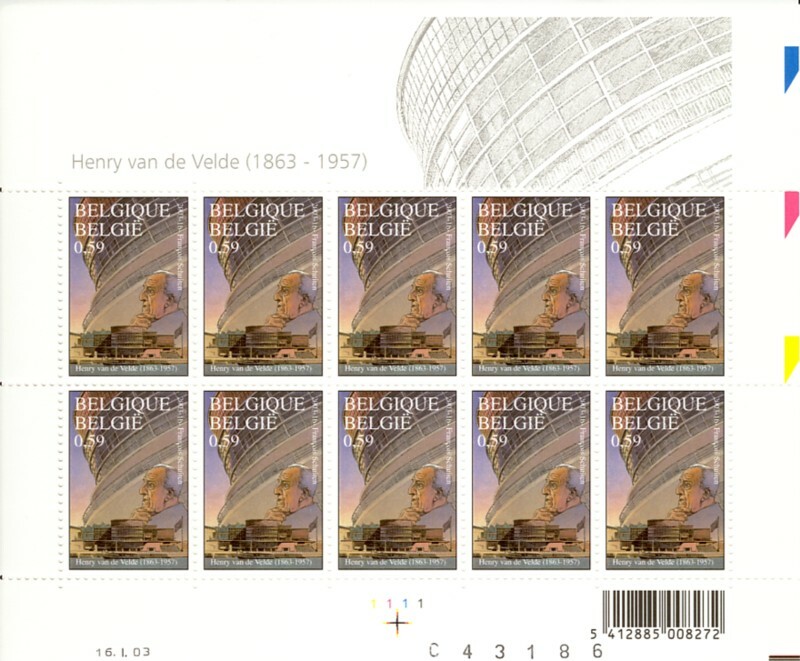 And the last stamp shows the “Boekentoren” (Tower of books) in Gent (1933-1938).